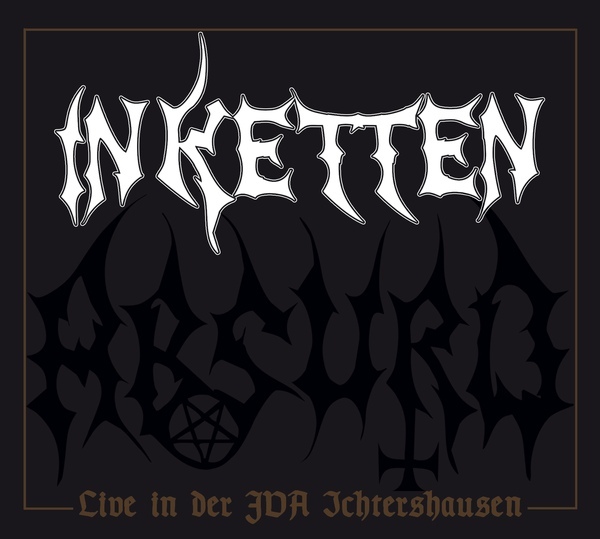 "IN KETTEN was a short-lived band existing from early 1994 until mid 1995, while three members of ABSURD - DMD (vox/guitars), JFN (drums) and CHS (bassguitar) - were incarcerated in the county jail of Erfurt (Thuringia/Germany). There, a local public charity sponsored music instruments to inmates thus they could rehearse and even play live (in front of other inmates) for recreational purposes. Since it was out of question to play as ABSURD, after the band was all over the newspapers and TV-channels for first-degree murder at that time, the camouflage of IN KETTEN was conceived for the sake of rehearsing and recording ABSURD-songs too. IN KETTEN played cover songs first and foremost; even though DMD sometimes wrote a new lyric like he did for ENDSTUFE's "Winter in der BRD", for instance. Other songs, like "Mourning Soul", were "dual-used" for ABSURD and IN KETTEN alike. Only a few songs, like "Ein letzter Kuss", were conceived for IN KETTEN exclusively. 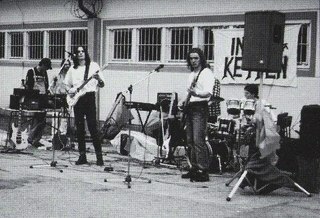 IN KETTEN played five shows behind bars, the final one to take place at the JVA Ichtershausen, a prison for juvenile offenders not far away from Erfurt, in June 1995. That one was recorded on video. While the video has been lost for all we know, the audio was preserved (Thank you, R.N., for keeping it safe!) and eventually remastered as to make this concert, in it's entirety, available to those interested in the history and biography of ABSURD. As they might know, various songs from this concert have been used elsewhere in the years past: "Mourning Soul" as bonus on "Thuringian Pagan Madness"-TapeEP or "Verlassen" on the Split-EP with HELDENTUM, for instance. Shortly after this concert took place, the line-up of IN KETTEN (aka ABSURD) was disbanded and scattered across three different prisons in Thuringia. Hence IN KETTEN never reformed, nor did ABSURD with that "classic" line-up for that matter. Without IN KETTEN, neither "Out of the Dungeon", or "Thuringian Pagan Madness", nor "Facta Loquuntur" could ever have been conceived and recorded in the first place."